Welcome back to the Paper Crafts Crew Challenge! This week we have a theme challenge, and for the holiday, this is a 2-week challenge so plenty of time to play! GOJUS!! Here’s the other thing I decided to do, a #10-size card. I haven’t done one in AGES, but this particular stamp seemed to call for it. This stamp doesn’t actually have ANY lines, it’s one of Penny Black’s stamps that has a brushstroke look. Usually this is used with markers or watercolors. How did I manage to color this? I stamped the stamp on Neenah Desert Storm with the same Simon Says Stamp Barely Beige ink as I used in my no-line coloring. Then I colored on top with Prismacolor pencils, using the sample shown on the packaging as my guide. I found that when freshly stamped, I had no problems seeing the necessary detail. But once this dries back, it is way too light. I had walked away in the middle of coloring, and when I came back, the pine cone detail was impossible to see. I ended up re-stamping on top with the same ink since the stamp was still in my Tim Holtz stamp platform so that I could continue, and that worked just fine. After it was all colored, I spattered over the image with some white paint from my Kuretake Gansai Tambi watercolor set. I also added a bit of white paint to brighten up the pine cone even more. I then added some clear Wink of Stella to the berries and the white edges of the pine cone. I pulled out my Penny Black Yuletide Greetings set, which I stamped in Versafine Onyx Black and added glittery highlights with my Sakura Stardust pen. 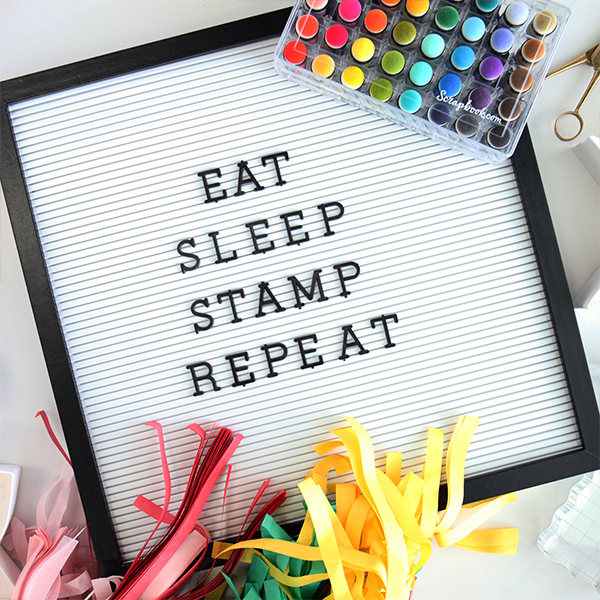 I mounted this on top of some Schoolhouse Red card stock from Simon Says Stamp. This turned on just like I thought it would! So elegant! Maybe I should do another video on using this technique with this type of stamp? Let me know! Oh I love this card and a video on how you created it would be great and so helpful! This card is beautiful! I may make this for next Christmas!!! Just beautiful. I love it. Merry Christmas! Jan, your card is beautiful!! Love the size too.